In this movie based on an Internet comic series, Kim Soo-hyun stars as Won Ryu-hwan a North Korean spy, who is stationed in a small neighborhood in Seoul, pretending to be a jobless slacker. His fellow agents Rhee Hae-rang (Park Ki-woong) and Rhee Hae-jin are posing as a rock singer and high school student, respectively. Their mundane lives turn upside down when South Korea promises financial aid to the North on condition that Pyongyang turns in their spies. The North orders Won and his team to commit suicide. Directed by Jang Cheol-soo. Runs 124 minutes. Rated 15 and over. In Korean. Lee Hong-ki, a K-pop singer, stars as troubled musician Chug-ui, who after a brush with the law is ordered to do 300 hours of community service at a hospice for terminally-ill patients. 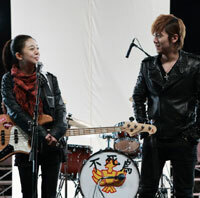 Anna (Baek Jin-hee), a volunteer worker at the facility, talks him into helping the patients form a rock band. Directed by Nam Taek-su. Runs 99 minutes. Rated 12 and over. In Korean. In the sixth installment of this series, federal agent Luke Hobbs (Dwayne Johnson) has car-heist experts Dom (Vin Diesel) and Brian (Paul Walker) reassemble their crew in order to take down a criminal mastermind who commands an organization of mercenary drivers across 12 countries. Directed by Justin Lin. Runs 130 minutes. Rated 15 and over. In English with Korean subtitles. 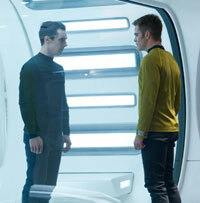 When the crew of the Enterprise finds an unstoppable force of terror within their ranks, Captain Kirk (Chris Pine) leads a manhunt to a war-zone world to capture Khan (Benedict Cumberbatch), a one man weapon of mass destruction. Directed by J.J. Abrams. Runs 132 minutes. In English with Korean subtitles.